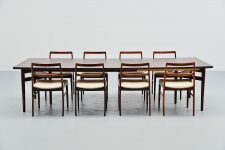 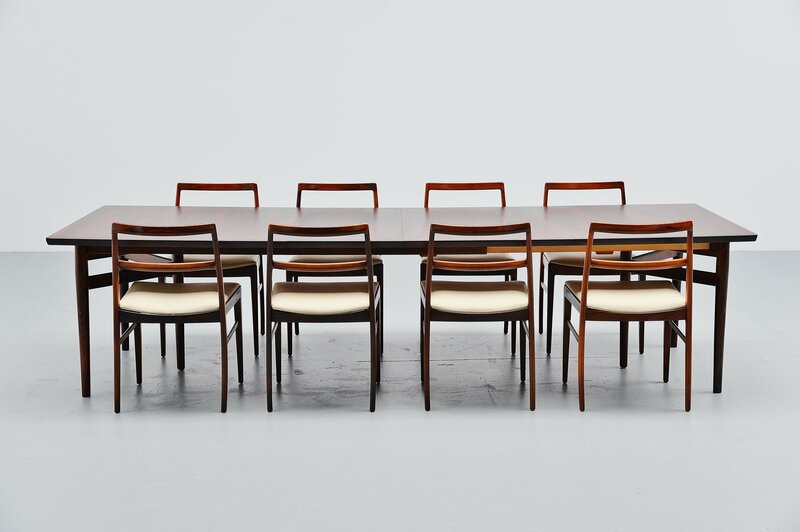 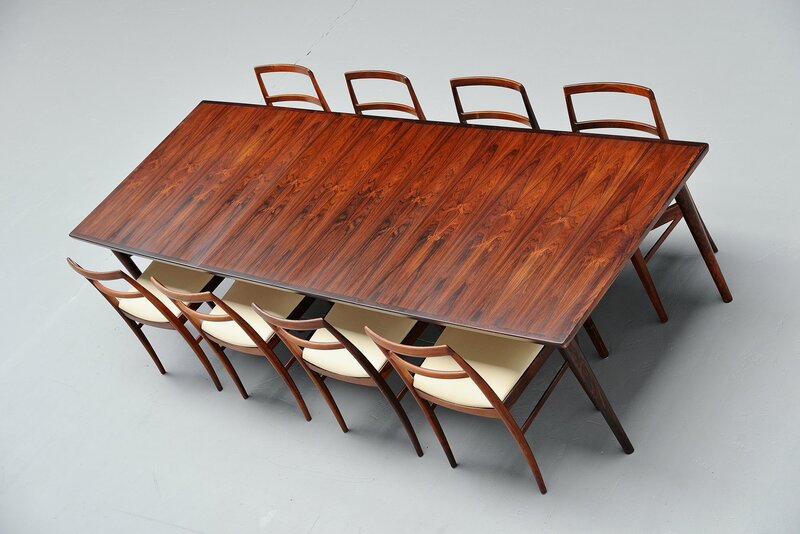 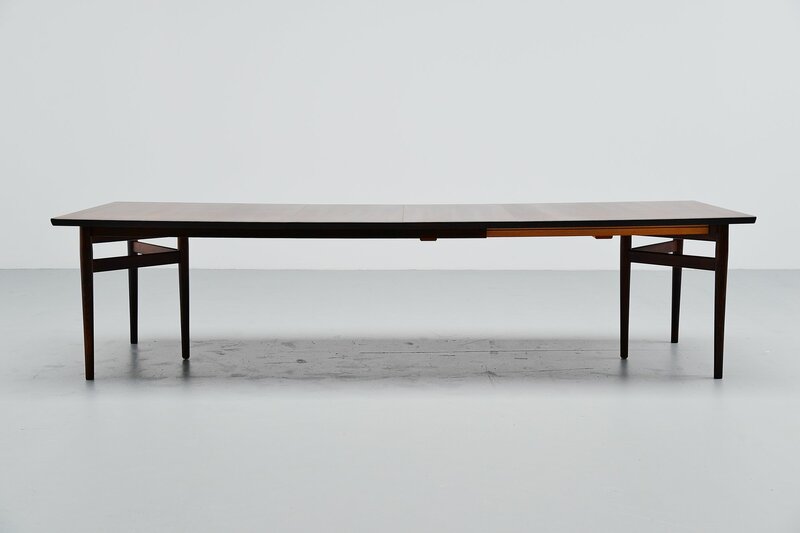 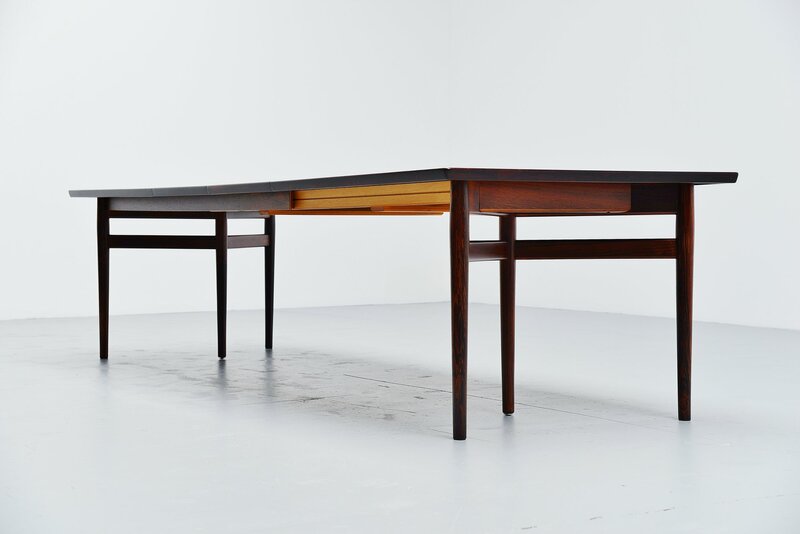 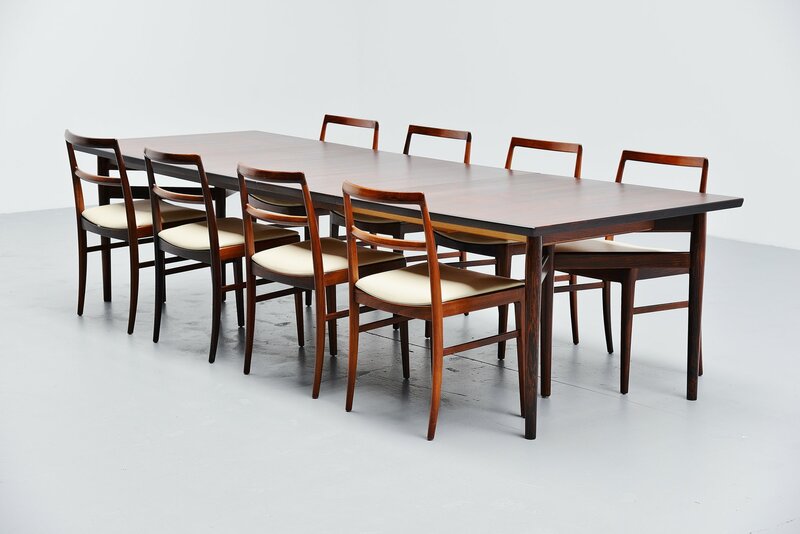 Fantastic large extendable conference or dining table designed by Arne Vodder and manufactured by Sibast Mobler, Denmark 1960. 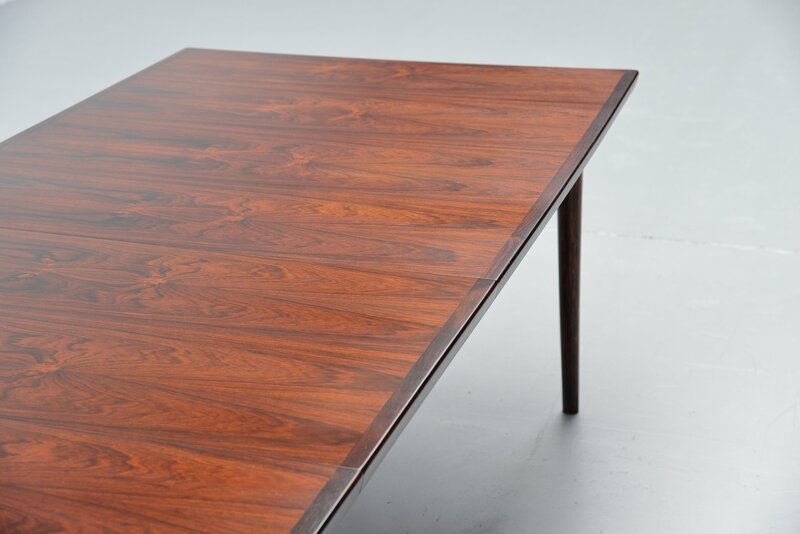 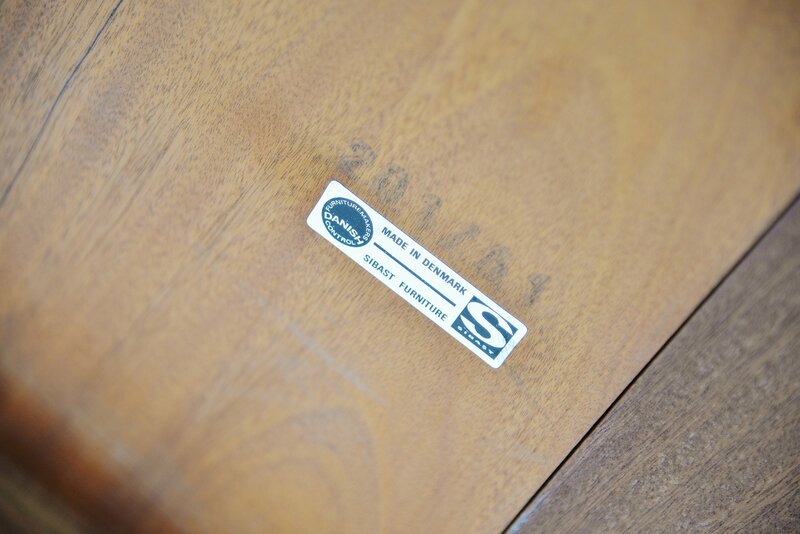 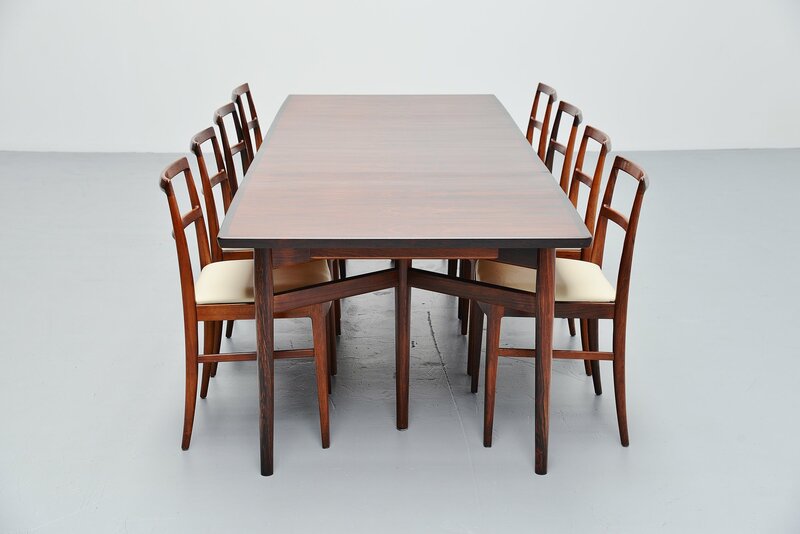 This table is made of partial solid and rosewood veneer and is fully refinished into perfect condition. 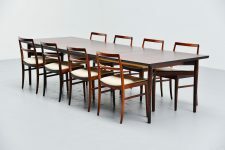 The wood has a very nice and warm grain to it and this table can use up to 10 chairs easily. 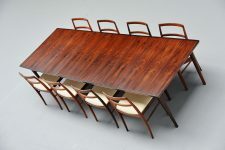 The table can be extended from 200 cm long to 300 cm long using the 2 extension leaves. There is also an extra pair of legs included to use in the middle if wanted. 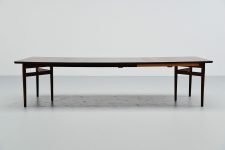 This table would look truly amazing in a modern home or interior, hard to find table in this excellent condition.